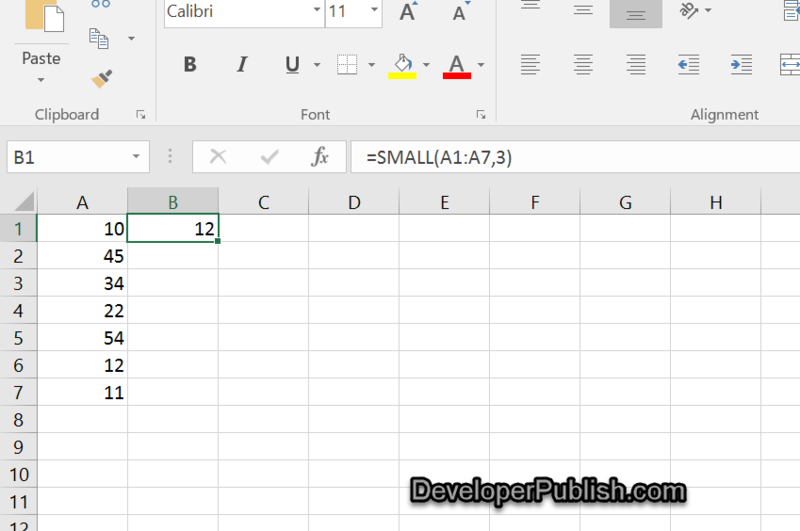 In one of the previous blog posts , we saw how to get the Nth largest number from a list of values in Excel. In this blog post , lets look at getting the Nth smallest value from the list. Microsoft Excel provides the function SMALL which lets you to this. – The second parameter specifies the nth smallest value that you are searching for.